This weekend will mark the first big cool down that we've seen so far this season. High temperatures are expected to range 10° to 15° below our average, which is in the upper 60s for the beginning of October. As overnight lows fall back into the 30s, we could very well end up with our first frost, if not freeze. A fairly significant Canadian high will settle in behind a cold front slated to move through Friday afternoon. This will pull down a chilly and very dry airmass. Our dew points will likely be in the upper 20s/lower 30s range. The dew point plays a role in whether or not we will see a frost or freeze. A frost is more likely to occur when the dew point is higher near the ground. A freeze, however, is usually harder on plants and will occur when there is a dry airmass in place. Dry air has a low dew point and low relative humidity. It is also able to warm up quickly during the day but cools quickly at night due to raditional cooling. So what are some ways you'll be able to protect your plants this weekend? First, bring the plants that you can inside and cover up the ones you can't. Drape them loosely and secure with either a stake, rocks or bricks. You'll want to cover them up before dusk and make sure to remove the cover the next morning when the sun comes up. Another way, water them a day or two before. Wet soil will hold more heat than a dry soil. But make sure not to saturate the plants while the temperatures are extremely low. This will result in a frost heave and ruin the plant. You can water them in the evening before the temperature drops. This will raise the humidity levels and reduce frost damage. Much cooler weather is coming to the stateline this weekend. Soon, the Stateline area will see the leaves on area trees lose their green shade, and reveal the yellows, reds, and oranges of autumn. Leaves produce a substance called chlorophyll to produce oxygen and food during the warmer months of the year. Chlorophyll is what gives the leaves a green color. When the cooler weather and shorter daylight hours arrive, leaves stop producing this substance. Then the green color fades away, revealing the other colorful hues that were "hiding" beneath the chlorophyll all along. With the recent rains to the north, flooding is expected down stream along the Mississippi River and that's why a Flood Warning will continue for Jo Daviess county until further notice. While the river has not yet reached flood stage it is rising and is expected to rise above flood stage by Thursday morning and continue to rise through Saturday morning. Tropical Depression 16 is churning the waters of the Carribean Sea just south of Cuba right now. It has maximum sustained winds of 35 mph, keeping it just below Tropical Storm Status. TD 16 is moving to the N/NE at about 8 mph. Further strengthening is expected with this system, and we could see this depression become Tropical Storm Nicole before tomorrow morning. While we've got a couple nice days coming this week, the weather this weekend could turn very chilly with the possibility of our first frost - if not freeze, Saturday night. A big ridge of high pressure in the west that extends all the way from Canada down to the four corners will cause a dip in the jetstream across the Great Lakes. This will allow very cool, Canadian air to overspread much of the Stateline beginning Friday and lasting through Sunday. High pressure at the surface will keep a northerly wind for much of the weekend but an upper level trough may bring a few more clouds (with a few showers) Saturday afternoon and keep temperatures in the mid and upper 50s for highs! Now if we can get rid of the cloud cover and skies clear Saturday night lows could very well fall near the freezing mark! 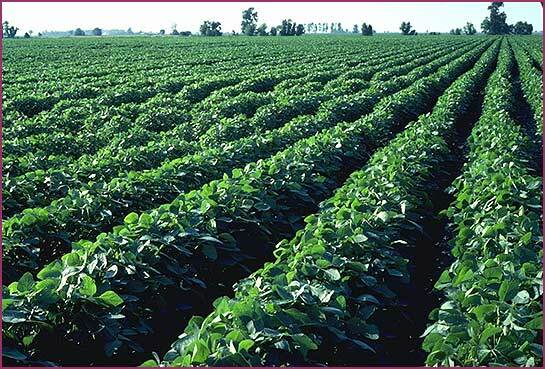 While this won't have too much of an impact on the crops left in the field because a lot of the soy bean crop has matured and the corn is probably black layered, flowers and vegetables could see an impact. Not only will cloud cover play an important role but the location of the trough will be watched as well. If it shifts a little further to the east, the bulk of the cooler air will be shifted east as well. Either way it's going to be a chilly weekend! If temperatures were to dip to the freezing mark or below, we would pretty much be right on target as far as our averages. The average first frost is around September 25th and the first freeze around October 7th. Heavy rains have caused a massive mudslide in the mountainous terrain near Santa Maria Tlahuitoltepec, in southwestern Mexico, where hundreds are now feared dead. The landslide occurred around 4am Tuesday morning where officials report up to 300 homes could be buried and 500 people are feared dead. Rescue workers are on the way to the region but efforts have been slow due to the bad weather. The remnants of tropical storm Mathew has brought record rainfall to some parts of central America and southern Mexico where close to 20 inches of rain could have fallen. Our weather this week will remain fairly quiet thanks to a dominant high pressure system in the west. The cut-off low that kept us cool this weekend sits in the south and continues to bring a plume of moisture up the east coast where some locations over the next couple of days could be dealing with flooding rains. Little disturbances will rotate up and over the western ridge that will bring reinforcing shots of cool air across the Great Lakes. The first will be a cool front that will sweep through later tonight bringing with it a few more clouds and maybe a passing shower Tuesday. The second will come through Wednesday night/Thursday morning, also with very little moisture. Our temperatures this week should remain at or a little below average. A levee in the Blackhawk area near the city of Portage was failing as of Sunday evening. The Wisconsin River is in major flood stage, with a manual gauge reading by the city of Portage at 20.1' Sunday night. Looking at the river level this morning, as of 8am, it is currently at 20.59' - although there may be some debris affecting this reading. Some of the roads south and west of Portage are closed and access to the Blackhawk subdivision has been closed off. According to the National Weather Service in Milwaukee the river level appears to be leveling off and will begin to slowly decrease early this week. What's This About Patchy Frost Tonight??? High pressure from Canada will clear skies, and settle into the Stateline overnight. With light winds, and good radiational cooling there may be some patchy frost in favored low lying rural areas late tonight. The temperatures in Rockford and area cities are not expected to fall below 40 degrees. The high will still be in the area on Monday, so skies will be sunny, there will be light winds, and temperatures will moderate into the upper 60's. The high will shift off to the southeast on Monday night. It will still be mostly clear, but it will not be as cold. Tuesday will be partly sunny with a high in the upper 60's, and the rest of the week will be sunny to mostly sunny with comfortable temperatures in the low to middle 70's. A cold front will push southeast across the area late in the week dropping temperatures back down in the low to mid 40's at night, and into the low to mid 60's for afternoon high next weekend. No precipitation is expected because of dry air across the midwest, and skies will remain mostly sunny. A disturbance passing well to our southwest is generating some sprinkles and light rain showers this evening. The best chance of rain is over the southwestern part of the Stateline. Precipitation has been having a hard time making it into north central Illinois because of very dry air moving to the southeast from Wisconsin. The disturbance will pass off to the south tonight bringing an end to the light rain and sprinkles before midnight. It will be partly cloudy and cool later tonight with a low in the low 40's. High pressure from Canada ridging from Quebec southwest through Lake Superior, Minnesota, and Nebraska into Colorado. This ridge will take control of Stateline weather later tonight and Sunday clearing skies keeping temperatures on the cool side with high on Sunday only in the low 60's. The ridge will be lying right over north central Illinois on Sunday night. With clear skies and light winds temperatures will drop to the low 40's. Some of the rural areas will get down into the upper 30's, and patchy frost cannot be ruled out in those low lying areas subject to cold air drainage. Monday will be a sunny day, and afternoon tempatures will recover into the upper 60's. Tuesday will be partly cloudy, and there is a chance of some isolated high based rain showers or sprinkles in the afternoon as a trof rotates around low pressure off to our east. Wednesday looks like it will be mostly sunny and delightful as the high pressure regains control, and pushes temperatures into the low 70's in the afternoon. A dry front will pass through the area on Thursday, and temperatures will reach the middle 70's. Strong low pressure caused windy conditions across the Stateline today as it moved across Lake Superior into southeast Ontario. Winds gusted to 35 mph from the west this afternoon drawing cooler Canadian air across the midwest. It was mostly cloudy through the early afternoon, the clouds broke, and it was mostly sunny by sunset as a bubble of Canadian high pressure settled into the upper midwest. Ovenight lows will drop into the cool mid 40's under clear skies and lighter winds. Clouds will increase again on Saturday morning as then next disturbance moves southeast from the northern plains. It will be mostly cloudy to cloudy by early afternoon with a fair chance of some showers. If there is any lightning with this system, it will probably occur to the far west or south of Interstate 80. A few showers may linger into the evening, but high pressure from Canada will once again push the clouds off to the southeast, and overnight temperatures will drop into the middle 40's. With high pressure in control, it will be mostly sunny on Sunday and Monday. Afternoon temperatures will rise to near 70 degrees on Monday, and remain in the low to middle 70's for the rest of the work week. Right now it appears as if it will be a dry period from Sunday through Friday of next week. Heavy rain fell across parts of southern Minnesota and central Wisconsin Wednesday night through Thursday, setting new monthly rainfall records for some. Radar rainfall estimates show a swath of 6-10 inches fell across southern Minnesota! Numerous evacuations took place and it will be weeks before things dry out. All this rain will likely lead to some flooding along the Mississippi River within the next week or so as that water flows downstream. The water will more than likely enter into the mighty Mississippi at different times from the tributary rivers and flood warnings may be needed over the next several days. People along the river should pay close attention to the local river forecasts. The image on the left is a surface plot from 8am this morning. On it you'll find temperature contours, the yellow dashed lines, and isobars outlined in the cyan color. Isobars are a meaure of constant pressure. Wind is caused by changes in pressure and the closer the isobars are to each other, the stronger the wind will be. A fairly strong area of low pressure sits just north of Wisconsin and as it continues to deepen winds will gust through the Great Lakes. Not only do we look at the surface, but we also look above us to see what's going on. As Eric Nefstead mentioned last night, winds a couple thousand feet up are screaming in around 70-75 mph, and even higher. Sometimes we can actually tap into those types of wind speeds aloft and bring them down to the surface through a process called mixing. Obviously we won't see winds of 70 mph, but winds could gust near 40 mph before calming some later this evening. After a day that saw temperatures soar to 89 degrees at the Greater Rockford Airport, and upper 80's throughout north central Illinois, temperatures are holding in the upper 70's in areas east of where rain is falling. A strong southwesterly wind is blowing 20 to 30 mph with higher gusts bringing dew points well into the 60's along the Mississippi River. The low level jet between 1 and 2 thousand feet is clipping along between 55 and 70 mph. As the showers, and possibly a few storms move into the area during the next few hours, it is possible that some of those very strong winds aloft will be transported down to the ground causing the wind to gust as high as 60 mph for a brief period. The front is anticipated to move through before daybreak shifting the winds to the west. Don't expect the winds to let up though. The will be westerly on Friday between 15 and 30 mph with gusts above 35 mph in the mid day hours. A few rain showers may linger into the early morning, but the clouds will break, becoming partly cloudy by mid day, and mostly sunny towards sunset. Temperatures will hold in the 60's for most of the day, but drop back in the upper 50's shortly after sunset. With mostly clear skies on Friday night, the winds will diminish, and temperatures will fall into the middle 40's. Saturday will be another cool day with highs in the 60's, and a disturbance moving eastward across the plains may generate a few showers on Saturday afternoon. Showers will be more likely on Saturday night. Sunday will be partly cloudy and continued cool with a high in the upper 60's. A storm system off to the west will continue to deepen as it moves northeast of the immediate Stateline. As it does, gulf moisture will continue to be pumped in through the Plains and upper Mississippi River Valley. A warm front lies to the north in central Wisconsin and has been the focus for some heavy rainfall through the overnight and this morning. Rain will continue to fall over these locations as the low pulls into the upper Great Lakes by this evening. A few storms may develop in Iowa this afternoon ahead of a cold front that will move through the overnight and sit east of the Stateline by mid-Friday morning. Gusty southwest winds ahead of the system will warm us into the mid 80s for today, but cool us back into the upper 60s by Friday afternoon. If you have any plans to take a trip up north this weekend, please watch for flooding as there are numerous Flash Flood Warnings/Watches and Advisories that stretch from northern Wisconsin, central Minnesota and down through northwestern Iowa. While Meteorological Fall has already begun (September 1st) - fall will officially begin tonight at 10:09pm! This is the time that the sun's rays are directly overhead the equator giving us an equal amount of night and day. Sunrise this morning was at 6:44am and sunset tonight will be at 6:45pm. As we past this point the days will be getting shorter and the nights longer until we reach the winter solstice. And before we know it, a foot of snow will be on the ground! Thanks to David Hallberg of Harvard for sending in some amazing lightning photos of the storms as they moved through northern Illinois. 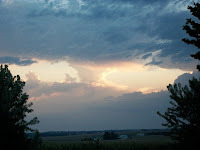 The second set of photos is the leading edge of the storms as they are moving out of DeKalb County. Very gusty winds and heavy rain soon followed once the storms passed. A line of strong to severe storms continue to move through southern Wisconsin and northern Illinois. We received numerous reports of hail and wind damage across the Stateline. Theses storms will continue through the evening. If you have any storm damage or pictures, please email them to: weather@wtvo.com! OR INTERIOR ROOM OR HALLWAY. ENFORCEMENT AGENCY FOR RELAY TO THE NATIONAL WEATHER SERVICE. Severe Thunderstorm Warning for Jo Daviess county until 3:30 pm. Watch for winds of 60 mph and quarter sized hail! We're also watching a few more storms that are developing out ahead of the initial line. 1:30pm Update: A watch appears likely as the atmosphere continues to destabilize ahead of the cold front. As storms get going, we could see a few bowing segments with winds being the primary threat. It's hard to believe that the official start of fall begins tomorrow at 10:09 pm after temperatures the past couple of days have been sitting in the 80s. While we'll be back and forth this week as far as highs go, this weekend is actually looking like it could be a chilly and cold one. For the past couple of days our computer weather models have been hinting at a cut-off low developing and moving down the Great Lakes Saturday afternoon, which would yield a cloudy and rainy Saturday afternoon. For now I have decided to leave it mostly cloudy but may very well end up adding rain showers to the forecast! Either way it will feel like fall this weekend. The cold front currently moving through the Upper Midwest will stall out across the southern Great Lakes tonight and Wednesday, thanks to a high pressure system in the southeast. While we could see a few gusty storms this afternoon the threat will shift to rainfall later tonight as southerly winds on the backside of the high continue to transport moisture right along the front. Precipitable water values (which measures how much available moisture we have above us) sit around an inch or a little more. Now, if the front moves just a little further to the south the heaviest threat for rain will be placed in southern Iowa and northern Missouri. If it stays fairly close to the Wisconsin/Illinois the border the heaviest rain threat will then be shifted north. Noon Update: With the filtered sunshine we have so far for this morning/early afternoon....the atmosphere is beginning to destabilize some ahead of a cold front that currently stretches through northern Wisconsin and back through northeast Iowa. The line has been fairly slow to move so far this morning but is expected to gain a little more speed as an upper level disturbance rotates through. Southern Iowa/Northeast Missouri will be the place to watch later this afternoon for any storm development. With any of the storms that move through, very gusty winds would likely be the main threat. 8:00am Update: The Storm Prediction Center continues the slight risk for this afternoon as a thin line of showers and embedded storms form along a cold front. We've got a thin cirrus overcast across much of the Stateline this morning which actually may not allow our atmosphere to destabilize as much as if we had full sunshine. Of course if we get a couple hours of sun later today that may change things. As the front moves through later this afternoon an upper level disturbance is forecast to move through around the same time. This will likely help storms initiate and move east/northeast overnight. The biggest threat would be gusty winds later this evening. We'll be watching for development along the southern edge of the front in southern Iowa as storm motion would likely move southwest to northeast. Be sure to check back later this morning as we'll try to get an update for you around noon. Temperatures this week will be anything but consistent. With a series of systems that are forecast to move through pretty much all week long, we'll see a range in highs up until this weekend. The first will be the warm front that is going to lift north through this afternoon. By tomorrow gusty southwest winds will help warm us into the low 80s, a good 10° above our average. Then a cold front will come through Tuesday night dropping us back into the 70s on Wednesday. The next warm front will then move in Wednesday night/Thursday morning and that will once again bring temperatures back into the low 80s. A second front will come down Thursday night and should hold our highs in the 70s through the weekend. 11:00am Update: Watch for a few showers/storms to continue to roll through this morning and into the early afternoon. Lightning along with a few brief, heavy rain showers can be expected. With a warm front drapped across central Illinois the threat for showers/storms will continue through the morning. We're already starting to see a few more pop up across eastern Iowa and those will continue to move east across the Mississippi River. We should manage a little sunshine for the afternoon as the front lifts northward overnight. There is a front lying across central Illinois that is stationary, and begin moving toward the north as a warm front later tonight. Widely scattered showers and some isolated thunderstorms may pop up late tonight. The front will approach the Stateline on Monday, and temperatures will warm into the middle 70's. On Monday night the warm front will move northeast though the Stateline leaving the area in the warm sector. Overnight lows on Monday night will be well above average for this time of year.... bottoming out in the mild low to mid 60's. Illinois will be on the warm sector all day on Tuesday, and temperatures will soar all the way into the middle 80's. A new cold front will approach the area later in the afternoon sprawing a line of thunderstorms that will end overnight after the front pushes off to the southeast, but it will stall out rather quickly over central Illinois, and begin to move back toward the north as warm front by Wednesday afternoon. So thunderstorms will become a possibility once again later on Wednesday, and continue through Wednesday night, as the warm front approaches northern Illinois from the southwest. Once again our region should be in the warm sector on Thursday allowing temperatures to reaching the low to middle 80's. Scattered thunderstorms will develop again overnight ahead of the advancing cold front. That next cold front looks like it will move through the local area early on Friday morning ending the thunderstorms once again. High temperatures will be close to average on Friday and Saturday. Saturday and Sunday are a long way off forecast-wise, but right now it looks like the weekend will be mostly sunny with pleasant temperatures around 70 degrees. It will be a fun week in the weather world. What Will the Weekend Bring? But it's not as easy as you may think. I will admit that there are stretches that we get in where the weather is fairly quiet and it makes our job all that much easier. There are also stretches where I think many of us leave with a little less hair (or grey ones in my case) after work. I bring this up because this is the problem we ran into for this weekend. There are several computer weather models we look at each day that help us forecast. But what happens when the majority of them are all showing something different? The big weather maker for this weekend will be the cold front that's slated to come through. A couple of our models were actually keeping us on the south side of the front, which would have yielded 80° degree weather, while a few more were taking the front south of us keeping the clouds with temperatures in the 60s. ....what happened to the earthquake we felt back in February? Remember that one? It registered about a 3.8 magnitude and occurred a little before 4am. That morning we spoke with Dr. Philip Carpenter from NIU to help us better understand what was going on. A few days ago I talked with him to see if there was any further development and to my surprise there really wasn't. He said that, so far, they have seen no additional earthquakes near the epicenter...which the USGS moved back to Lily Lake/Virgil once they obtained more information. A portable seismic recording station was set up near the area to monitor microearthquake activity, but so far they have not seen anything that looked like microearthquakes. 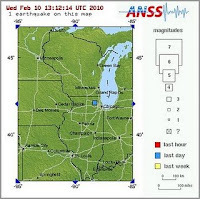 He did submit a proposal to the National Science Foundation EarthScope office to examine epicentral areas of the Lily Lake quake and other northern Illinois earthquakes. The goal: map buried faults that be the focus of future activity. A big Thank-You to Dr. Philip Carpenter for his help!! 10:30am Update: The storms that moved through southern Wisconsin and northern Illinois this morning produced close to an inch of rain through Green, Rock and Walworth counties with some areas in northern Boone county receiving a half an inch. Now we're left with the cloud cover and breezy northerly winds. Temperatures have already fallen back to about 60° at 10am! It's a little chilly outside!! 7:00am Update: Rain with a few thunderstorms (heavy at times) will continue to roll through this morning ahead of a cold front that will clear the Stateline by later this morning. The clouds will stick around through much of the afternoon as temperatures will stay fairly steady, if not drop some, later today. I was out talking with fellow WTVO/WQRF meteorologist Eric Nefstead a few hours ago in his garden about this 'n' that, when the topic of dry, breezy weather came up (you know, the kind of weather we had today and so many days since that extremely heavy rain event back in July). Eric mentioned he saw corn being harvested in eastern Lee county earlier this week. Now I'm new to the area, but from what Eric tells me that's about as early as he's ever seen it happen! The warm, dry weather has allowed the corn stalks to die earlier than normal, so a killing frost probably won't be needed this year before the corn is harvested. Noon Update: Things look pretty much on track with the forecast for today. The slight risk has been extended a little further east to include all of northern Illinois. We've got two broad areas of low pressure - one in South Dakota and the other in Kansas- which have helped keep showers and storms going through the morning. Skies are beginning to clear some out in western Iowa and this is where thunderstorm development is expected to begin. As the low in South Dakota pulls closer to the Great Lakes this evening a few storms may make their way here with gusty winds possible. As we head into the overnight rainfall will become more likely with totals in some locations nearing an inch. This low will quickly move out by Thursday morning leaving a brisk northwest wind and temperatures in the upper 60s. Be sure to keep checking back as Chief Meteorologist Ty Shesky will have an afternoon update for you. 9:00am: We'll continue to see filtered sunshine through the morning and into the afternoon. The rain moving into southeast Minnesota and Wisconsin will continue to diminish as it moves east. An area of low pressure will gain strength out in the Plains thanks to a deepening trough in the west, with thunderstorms likely to develop in Iowa this afternoon. Rain will more than likely become widespread through the overnight with some locations receiving close to an inch. I do believe the heaviest of the rain should stay to the north (around the low) and to the south. Should the low shift a little further south and move more over northern Illinois that may up our totals some. Severe weather threat with this should remain low with the greatest risk out west. The Storm Prediction Center does have our western counties highlighted in a slight risk, I think due to the location of the low later this afternoon. Should we see a change in our pattern today we will update you as needed throughout the afternoon! In a previous post, Candice King mentioned how difficult it is to forecast the weather at this time of year because of our computer models' inability to keep up with the day-to-day changes in a transitional season. This is absolutely true! In the fall, the northern tier states cool more quickly than the southern states. This is largely because we lose daylight a lot quicker here than they do -- for example -- along the Gulf Coast. Our models have a difficult time keeping-up with this change. The one thing that I love most about forecasting during the transition seasons (fall and spring) is the uncertainty they bring. Our weather computer models seem to have some difficulties keying in on certain things often causing our forecast to change. One thing that has been fairly consistent the past several days is the fact that our zonal (west to east) flow in the jetstream will soon be interrupted with a disturbance currently moving into the west coast. This will cause an area of low pressure to quickly develop in the Plains Wednesday and move across the Great Lakes late Wednesday night/early Thursday morning. Looking at the latest rainfall guidance suggests that we could squeeze out over an inch of rain with this system because not only will we be saturated at the surface but also throughout the atmosphere. At this time, the severe parameters remain low and it would be more of a rain threat. There are, however, a couple things that we'll be watching fairly closely with this system. One thing a forecaster looks at is how the weather model initialized (comparing it with what it says is going to happen to what is actually happening). If it doesn't initialize well, then chances are the forecast it brings isn't going to be all that great. And this morning we didn't do so good in that department. Secondly, some of the latest runs are actually developing some of the heaviest rain to the north and south of the Stateline. On the other side, we have been seeing this system for the past couple of days which does improve my confidence some with the rainfall. Of course we'll continue to update you with this tonight and tomorrow morning. Soon the leaves will start changing colors, the temperatures will be cooler and our first average snowfall won't be too far off! Typically our peak in fall foliage occurs mid-October with colors changing sooner than that to the north. We have, however, had a few dry weeks which may actually allow colors to turn a little sooner. August ended on the dry side and September has been fairly dry, so far. I can already begin to smell the apple cider and hot chocolate. I belong to a weather forecast discussion group and something interesting in my latest of emails caught my attention. It had to do with the early harvest of the soybean and corn crop, especially in central and east-central Illinois. So I decided to give my dad, who was a local farmer for many years, a call and talk a little farming with him. I'm sure many of you remember that this spring was above average for precipitation. With the exception of May, the period from April through July was a wet one which initially many saw as a good sign. Despite the flooding rains back in July, many thought this was going to be an excellent year for soybeans and corn. August, however, was a dry and warm month. We actually fell over 2 inches below our average for rainfall. Because of that, the beans are already starting to turn. Typically farmers don't tend to get in the fields to harvest soybeans until the first week in October - corn is usually a little sooner. With this dry and warm weather the yield is actually expected to be about 10%-20% below what was first thought back in the beginning of August. Now while the corn has suffered some, especially the areas that were flooded, the grain is a little drier which would actually cut back on the drying costs once harvested. Last year it took a long time to dry because of the wet grain. So while the corn crop might not be an excellent one, it should still be relatively good! Thanks to Tina Joesten for sharing this video! It's a wave train of tropical systems moving through the Atlantic this morning. First up is Hurricane Igor which has quickly gained category four status as it continues to move westward. Behind it just moving off the African coast is Tropical Storm Julia with winds around 40 mph. There is another area of showers and storms that the National Hurricane Center is watching that will more than likely bring heavy rains to parts of Hispaniola, Jamaica, Cuba and the Cayman Islands. 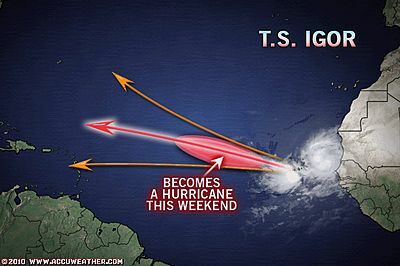 Hurricane Igor will continue its west/northwest movement over the next couple of days and is likely to intensify some before falling into an environment that may cause it to weaken by the middle to end of this week. Tropical Storm Julia will also continue to move west/northwest as it moves along the southwestern edge of a mid-level ridge. Neither Igor nor Julia are an immediate threat to the U.S.
A weak cool front will pass through the Stateline overnight virtually unnoticed with just a windshift. A severe thunderstorm developed over eastern Iowa early this evening causing 85 mph wind gusts at the Dubuque airport. It then moved southeast moving across Jo Daviess county causing 70 mph wind gusts near Hanover. It diminshed in intensity as it continued southeast across extreme southwestern Stephenson and northeastern Carroll county. Another thunderstorm developed, and caused brief downpours and gusty winds in the Rockford after 7:30 pm. The threat of thunderstorms is now over, and showers are falling apart. Other than that, skies will be mostly clear overnight with a light westerly wind. High pressure will be in complete control on Monday along with sunshine, and warm temperatures in the upper 70's. A system may graze the western sections of northern Illinois on Tuesday with some scattered showers, and possibly a thunderstorm. 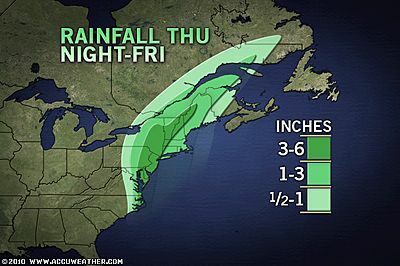 A system moving thru the area on Wednesday and Thursday will bring more widespread rain. The best chance of significant rain will be on Wednesday night into Thursday morning. Friday with be partly sunny and pleasant with an afternoon high in the low 70's. Another fast moving system with drop in from the northwest, and there will be a slight risk of showers and thunderstorms again on Saturday and Sunday. Severe Thunderstorm Warning for Jo Daviess, Stephenson and Carroll counties until 6:45pm. Severe Thunderstorm Warning for Jo Daviess County until 6pm. Isolated storms have popped up ahead of an approaching cold front. This storm is capable of producing winds over 80 mph, heavy rain and hail and is moving southeast around 45mph. The storm will move southwest of Stockton and may move into the Mt. Carroll area withing the next 30 mins. A sprawling high pressure centered over western Kansas tonight, will be the dominant weather feature affecting the Stateline for the next couple of days. Under mostly clear skies, lows will drop to the low 50s tonight. Sunshine will then boost temperatures into the mid to upper 70s on Sunday afternoon. This fair weather pattern will continue through Tuesday. There will be a slight chance of showers and thunderstorms on Wednesday. Chances of showers and isolated thunderstorms will continue off and on through Friday as a couple of cool fronts pass southeast through the area. Rainfall amounts are expected to be light. High temperatures are anticipated to be on the cool side (upper 60's to low 70's) from Tuesday through next weekend with a west to northwest airflow persisting from Canada. A study conducted by Tong Lee of NASA's Jet Propulsion Laboratory and Michael McPhaden of NOAA's Pacific Marine Environmental Laboratory found that the intensity of El Ninos in the central Pacific has nearly doubled, with the most intense event occurring in 2009-2010. 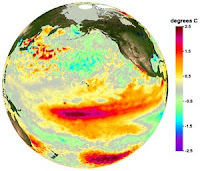 They have been measuring changes in El Nino intensity since 1982 by analyzing NOAA satellite observations of sea surface temperatures, checked against and blended with directly-measured ocean temperature data. To read more on this study, click here. A ridge of high pressure stretches from a center on the southwestern shore of Hudson Bay southeast across western Ontario, western Lake Superior, Wisconsin, Illinois, into Kentucky. The ridge provided the area with mostly clear skies and chilly temperatures overnight. Warmer air over the plains is riding up over the ridge. That has resulted in some light rains over southern Minnesota. There are also radar echoes over northern Iowa into extreme western Wisconsin where the rain is not reaching the ground. It appears as if there will be lots of clouds today and limited sunshine, and temperatures will top out in the low 70's... just a few degrees below average. The ridge will shift slowly to the east tonight and tomorrow, but will continue to control Stateline weather through Friday. On Friday night tropical moisture from the remnants of Hermine will spread northward across Illinois setting off showers and thunderstorms that will persist into Saturday until a cold front shoves the activity off to the east. High pressure over the southern plains will take charge of midwest weather on Sunday with sunny skies an pleasant temperatures into the middle 70's. By late Sunday night another cold front will sweep across northern Illinois, and there may be some showers and thunderstorms associated with that front through Monday morning. Canadian high pressure will follow in behind that front bringing cooler temperatures and mostly clear skies. High pressure will remain in control this afternoon as our next system begins to form out west. The remnants of what was once Tropical Storm Hermine continues to bring heavy rain to parts of Texas and will slowly begin making its way northward. While we'll likely see the cloud cover from this system tomorrow the dry air in place across the Great Lakes should be able to hold any precip to the south as the low "washes" out or weakens as it moves through the lower Mississippi River Valley. As that one weakens the next one will develop and move through the Plains into Canada sweeping a cold front through late Friday night. This will be our best chance at picking up on any type of rain. It's that time of year where the days are beginning to get shorter and the nights longer! Sunrise this morning was at 6:29 am and sunset is at 7:18 pm. By the time we get to the end of the month we will have lost over 20 minutes in the morning and over a half an hour at night! I guess it's just another reminder that fall is quickly approaching and winter is just around the corner. Dare I even say the four letter "s" word....snow?!? This will begin to play a role in just how much we are able to warm up during the afternoon since the sun angle is slowing decreasing. While the 80s aren't out of the question completely and yes, we may even get a few warm spells, our average high temperature is slowly starting to go down until we reach our lowest average of 27° in the middle of January! Thanks to Beth Nagel from Shannon for sending in this picture. This was taken as the storms were moving away! Don't forget if you have any weather pictures you would like to share, email them to weather@wtvo.com!